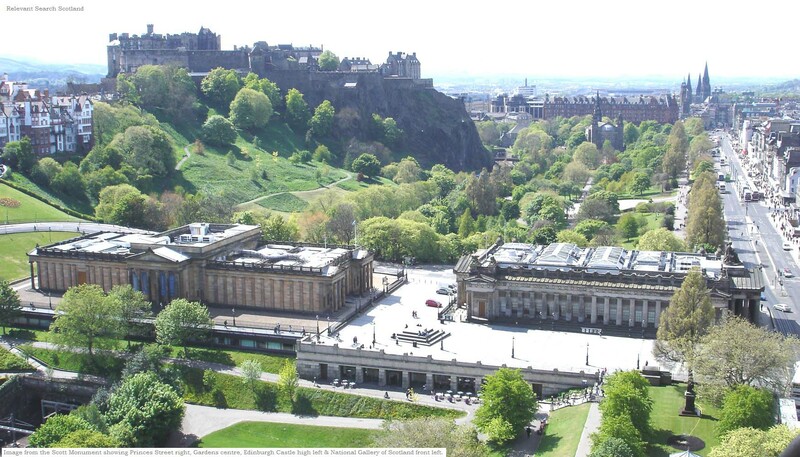 Edinburgh is the Capital city of Scotland, second largest city in Scotland after Glasgow. Edinburgh was listed as a UNESCO World Heritage Site in 1995, regarded by many visitors as one of the most interesting cities in the world. 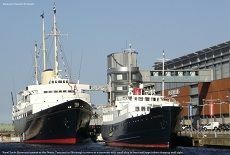 Along with its Historic Castle sitting above the centre, there are about 4,500 listed buildings within the city. 26 Large Images. By the 12th century, Edinburgh was well established around castle rock, where Edinburgh Castle now stands. Another community developed around the Abbey of Hollyrood about 1 mile east, where the Palace of Hollyrood now stands. The streets that now connect the two are known as the Royal Mile, packed full of museums, historic places, bar diners, restaurants and souvenir shops. 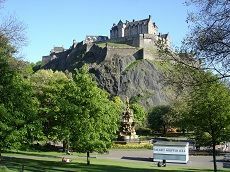 Edinburgh New Town was built from the early 1800s, just to the west of the Old Town, Princes Street Gardens separates the two, and Princes Street overlooks the Gardens and Castle. Just behind Princes Street, is the narrow Rose Street with many Bar/Diners. The Bar/Diners are popular for meals and drinks throughout the day, then become extremely popular places for a few drinks and entertainment at night. Just behind Rose Street, is the wide George Street with many fine Georgian buildings. George Street is lined with glamorous bar/diners, restaurants, and designer shops. Edinburgh International Airport is situated 8 miles west of the city with inexpensive trams, buses and taxi rides into the city. The centre of Edinburgh is considered now to be around Waverley Train Station. This area has a large Visitor Information Centre, tour buses depart from the entrance of the station, and Princes Street and Gardens are next to the station. The Royal Edinburgh Military Tattoo is held at Edinburgh Castle over three weeks each year, in August. The Tattoo has attratced performers from over 40 countries, and attracts and audience of over 200,000 each year, many from overseas. Taking place at the same time is the Edinburgh Festival Fringe, the largest arts festival in the world. 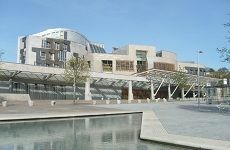 Edinburgh is also a good base to explore Scotland with inexpensive Buses and Trains running regularly to Stirling about 60 minutes travel time, Glasgow 50 minutes, and Inverness 3.5 hours. 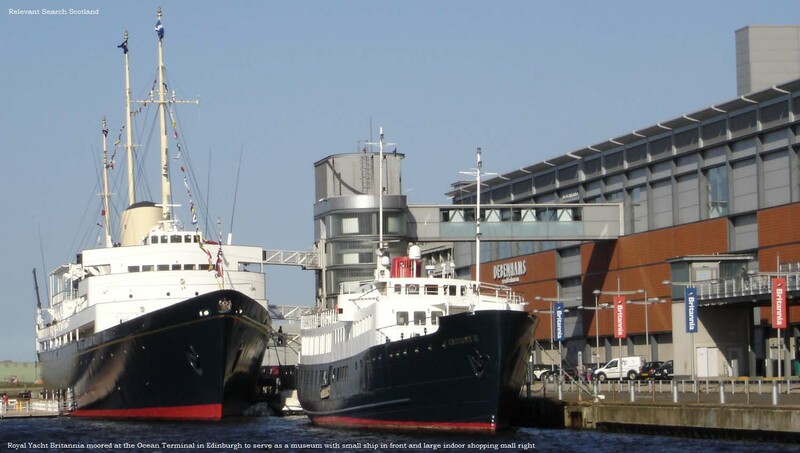 There are also a number of tour buses that offer guided day trips to other areas of Scotland, see City Tours.